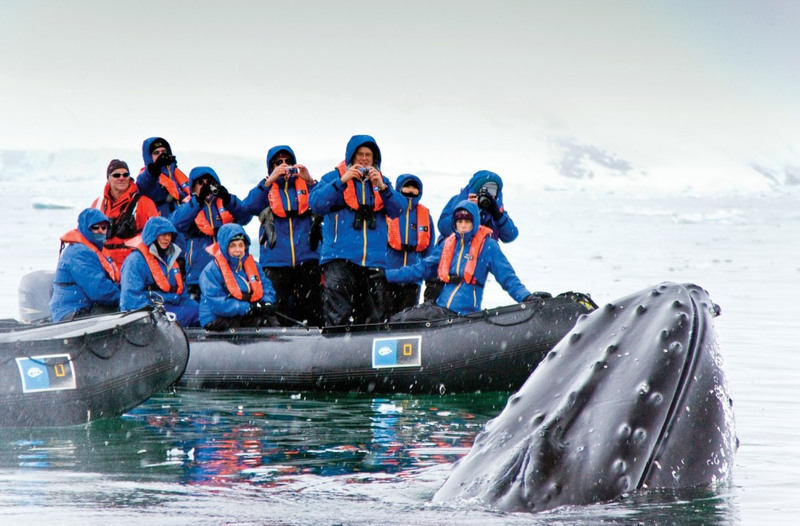 All the highlights of Antarctica in one voyage on a luxury expedition ship. Kayaking, cross-country skiing, snowshoeing, certified photo instructor, video chronicle of your trip. 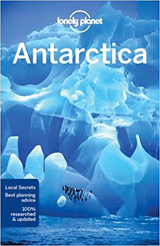 Summary : An extraordinary voyage of the best that Antarctica has to offer to visitors. The Peninsula and East Antarctica are the two most visited regions with the Peninsula getting far more visitors. Usually a cruise to Antarctica means choosing one of these over the other, while trips to the Ross sea mean fairly long sea voyages to get to Antarctica and back. This trip combines the areas and maximizes the time spent in spectacular landscapes without having to choose, you will encounter everything, vast ice-shelves, abundant wildlife, enormous icebergs, the remotest places on the planet and historical sites. 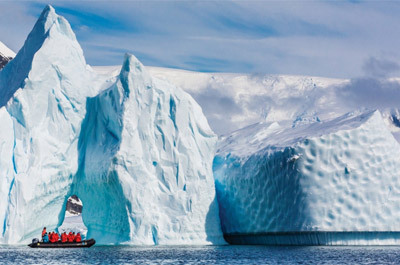 You will sail along the Ross Ice Shelf, see prolific wildlife and visit rarely visited Marie Byrd land in west Antarctica. The Peninsula dazzles with mountains and icescapes, expect to see thousands of seals and millions of penguins in the World Heritage sites of Australian and New Zealand sub-Antarctic islands, following in the footsteps of Scott, Ross, Amundsen, and Shackleton, perhaps only a few thousand people in the history of the planet have ever made this voyage. This trip runs twice, once in each direction. Depart on an overnight flight to Buenos Aires. Arrive in Buenos Aires and settle into your hotel before seeing the city's Beaux-Arts palaces and the famous balcony associated with Eva Peron. Fly by private charter to Ushuaia, the southernmost city in the world. Enjoy lunch on a catamaran cruise of the Beagle Channel. Embark National Geographic Endurance. Settle into shipboard life, listening to informal discussions from our naturalist staff to prepare for the wildness ahead. While crossing the legendary Drake Passage, spot albatross and other seabirds that glide alongside the ship. 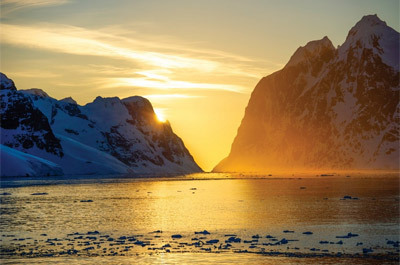 With 24 hours of daylight, there is ample opportunity to explore the Antarctic Peninsula and the surrounding islands. In keeping with the nature of an expedition, the schedule throughout is flexible so that you can take advantage of the unexpected - watching whales at play off the bow, taking an after-dinner Zodiac cruise, or heading out on an unplanned excursion. The goal is to offer opportunities each day to hike, kayak among the ice floes, and experience close encounters with wildlife. You may have the thrill of watching the powerful ship crunch through the pack ice, or step ashore to thousands of penguins. You'll learn how climate change affects the penguin populations, and how best to capture images of penguins from a National Geographic photographer. Back aboard, your undersea specialist may present video from that day's dive or show rare images taken up to 1,000 feet below the surface using the ROV. Expert staff will craft an expedition where you will learn, see, and experience more. This part of the planet is big and bold and full of adventure and magnificent scenery. The new National Geographic Endurance will be in full expedition mode, granting thrilling opportunities to crunch through thick ice and explore places few have seen. Rely on the planet's best ice team as you probe the ice's edge for wildlife, including numerous seabirds and whales. Activities throughout our journey are always weather and ice dependent. 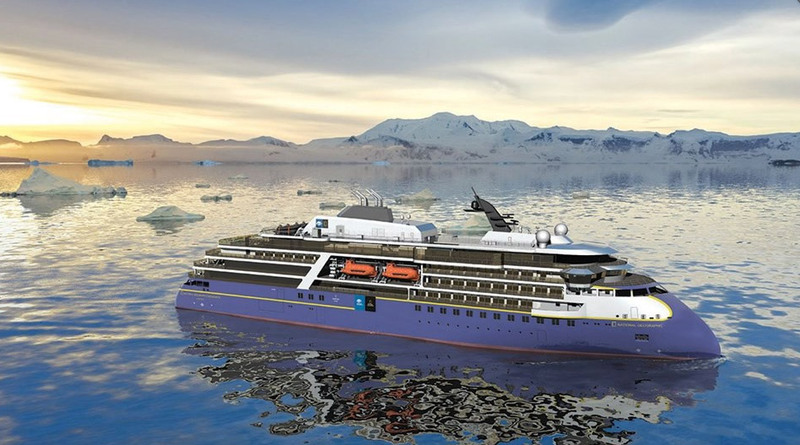 Your Captain and Expedition Leader will look for spots to “park” the ship in the pack ice, allowing guests the unique thrill of disembarking onto a frozen sea - for ice walks, cross-country skiing forays, and snowshoeing. There will be time, too, to relax in the library, head up to the Bridge to scan for marine life, unwind in the sauna or Yoga Room, and of course, hear presentations from the staff. Along the way, your undersea specialist captures images from the deep, revealing the hardy marine life beneath the ice. Always interesting, it can also be pioneering in this distant part of the world. On these days we navigate some of the most remote regions of the planet, as you explore the Ross Sea, just like Scott, Shackleton, and Ross (the 19th-century explorer for whom this sea is named). Here, you'll see the impressive Ross Ice Shelf, the world's largest, and the TransAntarctic Mountain Chain. Antarctica's Ross Ice Shelf is enormous, covering 182,000 square miles - the size of France - and the edge of the ice shelf is a wall of ice towering over the water by as much as 200 feet, with the majority of the ice below the waterline. The Ross Ice Shelf plays an important role in stabilizing the Antarctic ice sheet, buttressing the ice that is constantly moving over the land surface. 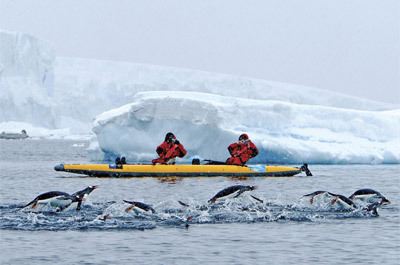 Your journey to this unique part of the Antarctic waters will likely include stops at several small islands at the bottom of the world for opportunities to hike and explore via Zodiac and kayak. Spot colonies of Adelie penguins, lazy seals, and majestic whales. 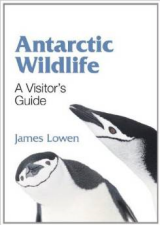 The plan is to visit Coulman Island to see and photograph Emperor penguins, the largest of all penguins - an average bird stands some 45 inches tall and has been the subject of the beloved film, "March of the Penguins". During your days at sea, learn about the fascinating history of Antarctic exploration, as well as the flora, fauna, and geology of the region. Your naturalists help identify the seabirds that follow the ship. Located south of the New Zealand mainland in the remote Southern Ocean, the wild and beautiful Sub-Antarctic Islands are home to abundant and unique wildlife, with many species of birds, plants and invertebrates found nowhere else in the world. On these days the plan is to visit Macquarie Island or Macca, as it is affectionately known. Macca is home to a large variety of wildlife, including thousands of seals and millions of penguins, and has been designated a World Heritage Site. Four species of penguins breed on Macca. The endemic royal penguin has a population estimated at 850,000. Gentoo and southern rockhopper penguins also breed there. And imagine landing on a single beach with 100,000 pairs of king penguins, the third largest such colony in the world! With whales beneath and birds above, head up to the bridge to spot marine life and watch the calm business of navigation. Or spend these days enjoying the ship's spa, yoga room, and fitness center. Take some time to browse the library or play a board game in the glass-enclosed observation lounge. And listen to a variety of engaging talks from your staff, including photo talks from the National Geographic photographer. Spend three incredible days discovering New Zealand's Sub-Antarctic Islands and their surrounding waters - the entire marine landscape is designated a UNESCO World Heritage Site. With special permission, you get to explore these strictly regulated islands, which are protected at the highest level of conservation status by the New Zealand government, and considered “bird central” among top ornithologists around the world. Keeping a flexible weather-dependent schedule, the plan is to explore several intriguing islands. Two small rocky islands, North East and Broughton, comprise The Snares, the closest sub-antarctic islands to New Zealand. The islands are covered with heavy tussock grass and wind-beaten forests of tree daisies. The Snares are home to huge numbers of breeding birds: the 99 recorded species include albatross, Antarctic terns and Snares crested penguins. The Auckland Islands are the largest of New Zealand's sub-antarctic islands, with the richest flora, prolific birdlife, and an interesting human history. Conditions permitting, cruise in Zodiacs to Enderby Island to view a large New Zealand sea lion colony with pups all jostling for position. If fortunate, you may see rare yellow-eyed penguins as they move to and from their nests in the forests beyond the beach. On your final days aboard, enjoy one last chance to view the marine life of these southern waters. 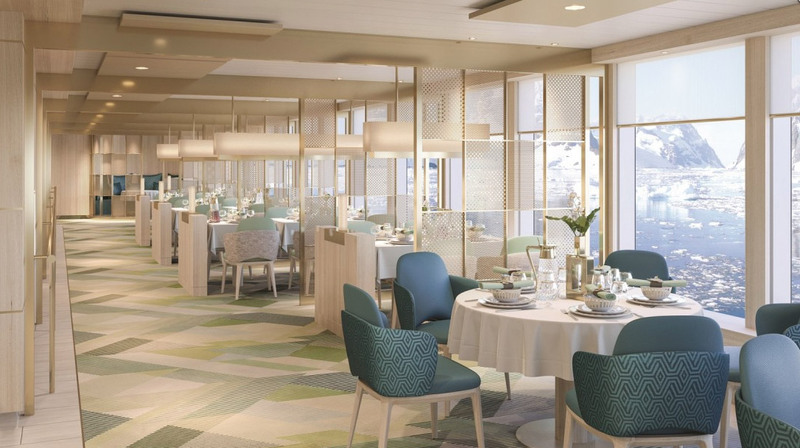 And gather to toast your epic voyage at a festive farewell dinner. After breakfast, disembark on the New Zealand mainland in the town of Bluff, one of the oldest European settlements in New Zealand, with a strong maritime history. Transfer to the airport to fly to Auckland and spend the night at your hotel. Transfer to the airport for overnight flights home, crossing the International Dateline and arriving the same day. NOTE: This day is subject to change. Read this itinerary as a guide only; the exact route and program varies according to ice and weather conditions - and the wildlife you encounter. Flexibility is the key to the success of this expedition. We are not responsible for itinerary changes. We strongly recommend Emergency Medical/Evacuation coverage which includes coverage for cancellation, trip disruption, baggage and personal property. Other conditions may apply based on pre-existing conditions. We can assist U.S. residents with travel protection options. On all departures, a certified photo instructor will be at your side and at your service to inspire and assist you. Take advantage of talks, presentations, slideshows and “laptop gallery” sharing events. All skill and interest levels are welcome; the instructors can meet you wherever you are on your journey. All you need to participate is a camera - point-and-shoot, smartphone, DSLR, whatever - and a sense of adventure. And you’re sure to return home with amazing photos. One pre-cruise hotel night in Buenos Aires; one post-cruise hotel night in Auckland; transfers between airport and ship if booked on group flights; shipboard accommodations; kayaking, cross-country skiing, snowshoeing; certified photo instructor; video chronicle of your trip; parka; all meals onboard ship; most beverages onboard ship; crew gratuities. Subject to change without notice. Airfare; passport and visa expenses; baggage/accident/cancellation insurance; immigration fees; items of a personal nature such as Internet and laundry; optional extensions; fuel surcharge may apply. * Prices are based per person, the lowest price is usually for triple occupancy in a basic cabin, the highest for double occupancy in the best available suite. Options may be at additional cost and are usually booked when the cruise is booked - it may be too late once the cruise has started. Tell me more about a trip to Antarctica! 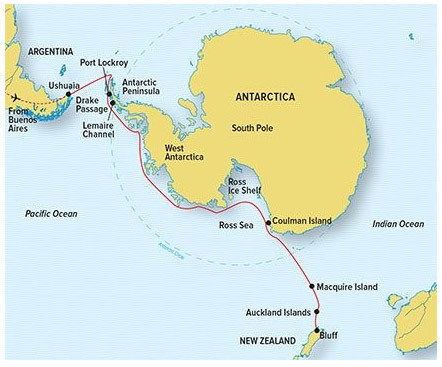 Fly over the Drake Passage and join your ship in Antarctica.